A new Deadpool 2 trailer is out, and it makes good on the X-Force hints and reports that reshoots would add a whole lot more Cable and Domino. The merc with a mouth (Ryan Reynolds) is back, and in the backseat of a taxi driven by an Air Supply-blasting Karan Soni. This clip is the most extensive preview we’ve gotten to date, laying out the plot of the David Leitch-directed sequel to the lyrical stylings of LL Cool J. We now now why Cable (Josh Brolin) has traveled to the past/Deadpool’s present—it’s for whatever bad egg Julian Dennison is playing. To protect the kid and set up some spin-offs, the wisecracking assassin assembles the X-Force, a name that Domino (Zazie Beetz) points out is derivative, but it still manages to be the subtler X-Men reference in this trailer. 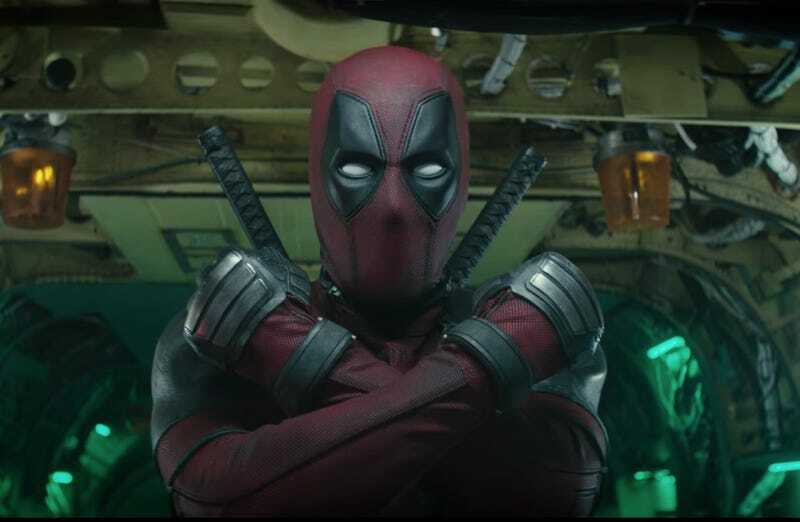 Despite adding Terry Crews, Shioli Kutsuna, and Eddie Marsan to the team, Deadpool still needs Negasonic Teenage Warhead (Brianna Hildebrand) and Colossus (Stefan Kapičić).